Father and Child are very pleased to invite families and friends to our events around Fathers Day. Tuesday 28th August we are hosting a Healthy Conversations Skills Training day with Healthy Start Workforce, this is already oversubscribed and we are trying to make another booking for those who missed this time. Wednesday 29th August evening we host the Testimonial night of our Fathers Mauri Ora Circle, aiming to hear any stories of how we have helped dads, families and children. We will take notes and copy these to our funders. 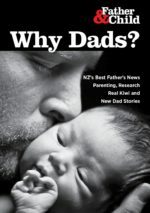 Thursday 30th August Father and Child are proud to be helping Bunnings Mt Wgtn and their Fathers Week evening for customers. 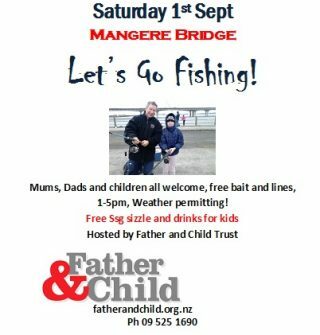 Saturday 1st September we host Lets Go Fishing off Mangere Bridge – 1-5pm around high tide at 2pm. We will provide BBQ food and bait, rods and lines for children to try fishing. Two years ago three children caught their first fish here! Sunday 2nd September we host Fathers Day BBQ/Picnic at Ambury Farm/Park from 11am – 4pm. 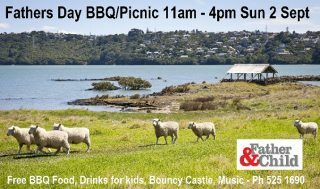 This is a great day of bouncy castle fun, BBQ food and healthy kids drinks, music and cute wee lambs. Ambury Farm/Park is in Mangere Bridge. 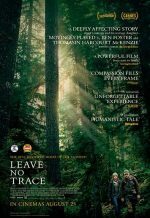 We welcome all our clients, friends, families and locals to enjoy and share, volunteers are welcome! Please contact Father and Child 09 525 1690 if you have any enquiries.